... in honor of her new song "Love Is Worth Fighting For", ... HAPPY BIRTHDAY HALEY! ... Haley Elizabeth Reinhart was born. 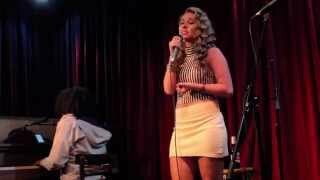 Haley Reinhart "Dream a Little Dream of Me"
Haley Reinhart & Casey Abrams "Cry Me a River"